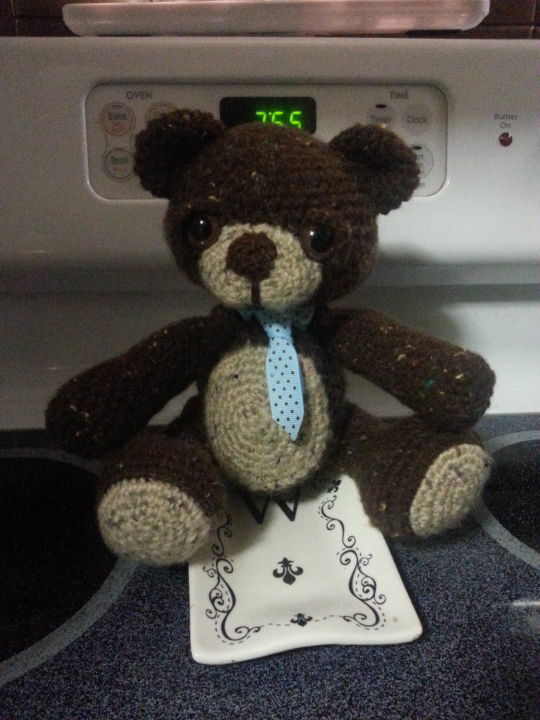 This is one of the first 4 or 5 things I ever crocheted. This pattern came from Kate E. Hancock from Patchwork Moose, I bought the pattern from her Etsy shop. I love to crochet Amigurumi, it takes a little patience, which I’m severely lacking, but the end result is worth the wait and the effort!